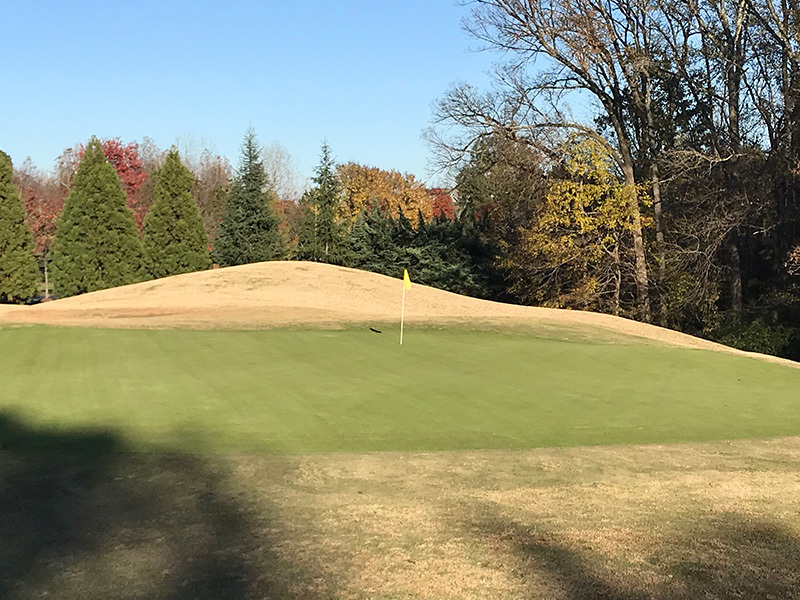 The Highland Creek maintenance staff has interseeded all greens with A1/A4 Bentgrass providing a smooth grain-less putting surface. Play Our Newly Improved Greens. Unprecedented Re-Opening Values at Highland Creek Golf Club. 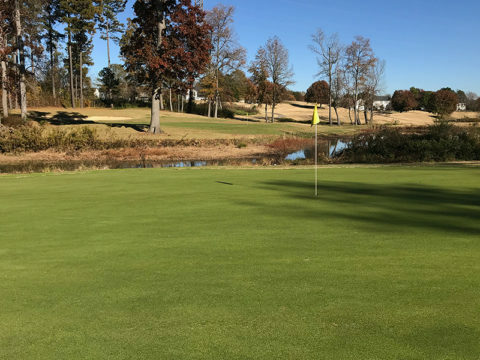 Set amidst some of the most picturesque tall pines in Northeast Charlotte, Highland Creek makes a great setting for your next round of golf. Highland Creek Golf Club membership options make it easy to choose what best fits your lifestyle. Our membership concept provides semi-private club privileges with options designed to accommodate individual and/or family needs. 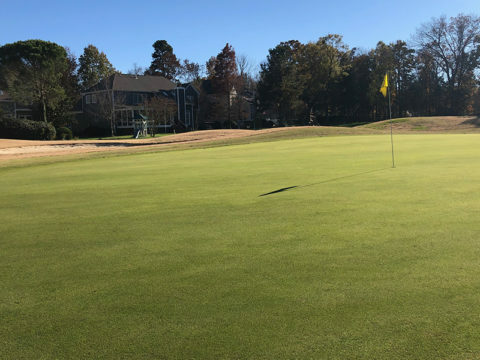 This 18-hole Championship course, designed by Clifton, Ezell, and Clifton has been rated both the best and the toughest public golf course in the Charlotte area. Designed with extra care to preserve the natural beauty of the area, Highland Creek Golf Club winds through towering trees and meandering creeks. The neighboring community surrounding the course provides an upscale backdrop set well back to offer plenty of open space. The course features Bent grass greens, Bermuda fairways, four sets of tees measuring from 5,080 to over 7,000 yards, 67 bunkers and water features on 11 holes. 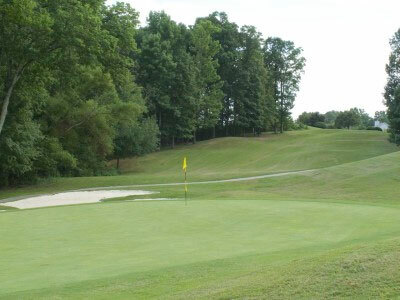 Highland Creek offers all golfers an enjoyable round. The par 4, 9th hole calls for a very precise tee shot to a narrow fairway. Any miss-hit, shot left, will find the creek and can definitely add up to a big number. 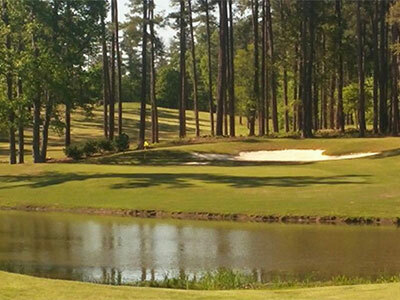 Although the layout may be challenging, it is set amidst some of the most picturesque golf holes in Charlotte. The practice facility at Highland Creek includes a driving range, 12,000 square foot putting green, chipping green, and practice bunker. The 15,000 square foot clubhouse has men’s and ladies locker rooms and a restaurant with full bar. The dining area has wonderful views of the 18th hole and surrounding lake, which always makes a great setting for hosting golf tournaments, outings and corporate events. Highland Creek will re-open on Friday, November 23, 2018 after green renovations. 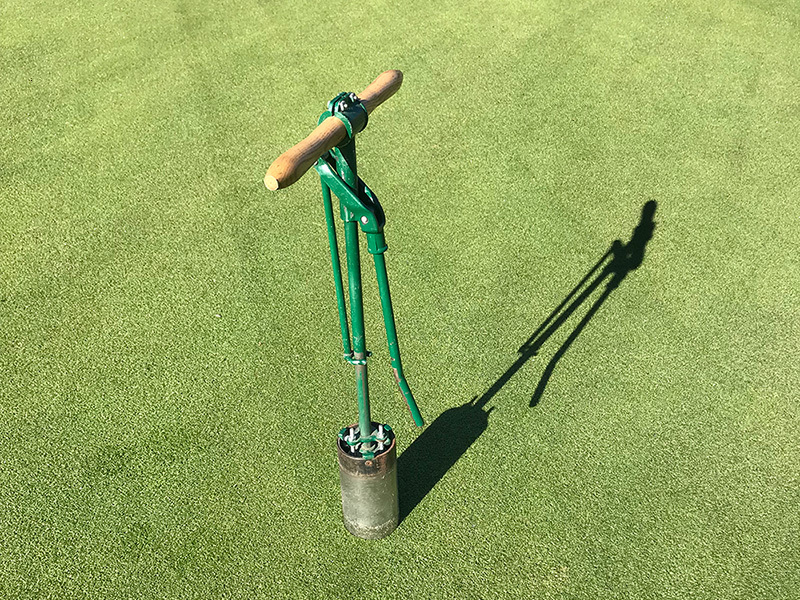 Our maintenance staff has interseeded all greens with A1/A4 Bentgrass during this down time, and it provides a smooth grainless putting surface. We look forward to opening the golf course for play. Contact the golf course for more information. Golf memberships offer easy access to the golf course, no initiation fees, no food and beverage minimum spending requirements and no assessments. 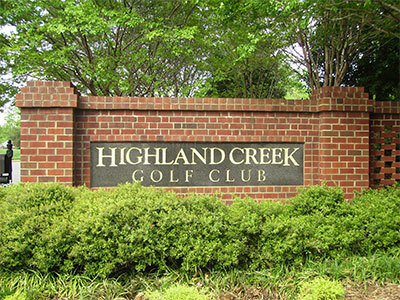 Highland Creek has a membership to fit your lifestyle. 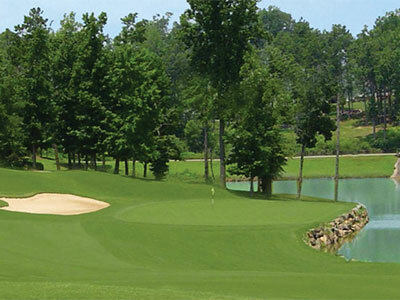 At Highland Creek, our golf outing packages are designed to provide a first class golf event. Whether it’s a corporate outing, charity event or social occasion, we will create an event to exceed your expectations. Let us help improve your game so you find enjoyment in the game. The practice facility at Highland Creek includes a driving range, a 12,000 square foot putting green, chipping green and practice bunker. Before, during or after your round, The Player’s Grille at Highland Creek offers scenic views of the course. You can order your favorite drink from our full-service bar and enjoy them from our patio area. Register for a chance to win FREE golf for one full year from CharlotteGolf.com!